It’s that time of year again where we show our teachers, well, in our case, our child’s teachers, how much we appreciate their work. 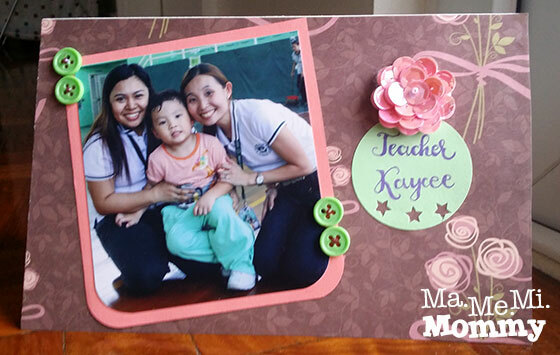 Armed with this idea, I decided to make just that, a simple handmade heartfelt greeting card for DA’s teachers. This is how it looked like when I was done. I wish I had a better photo of it though. For the scrapbook paper (item number 3), I found this Wrapping Paper Book from Regina’s in Shoppesville, Greenhills and it’s so nice and pretty. 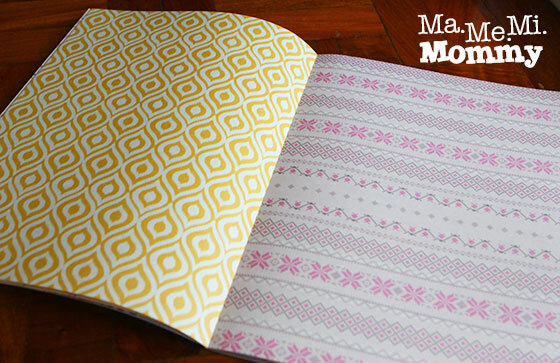 The pages inside were folded sheets of patterned paper, perfect for scrapbooking, or in our case, greeting card making! I don’t have photos of the step by step as I was in a hurry to finish it. Hehe. Fold letter sized white cardstock in half horizontally. 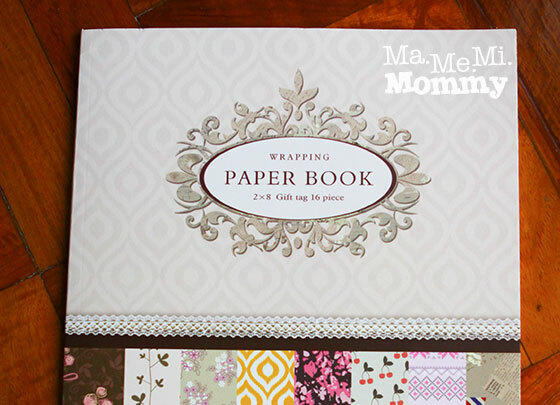 Cut the scrapbook paper into the same size of the half flap. 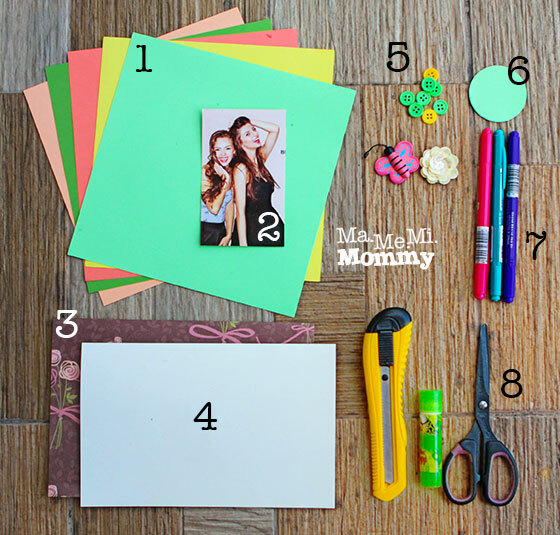 Stick the sized scrapbook paper onto the front flap of the card. I used double sided tape for it but you can use glue also. Grab a photo of your teacher. Size it so that it does not occupy the whole card so you can embellishthe card more. Cut a colored cardstock slightly bigger than your photo so that it looks like a border. Stick the photo onto the colored border and that onto the card. Print or write the teacher’s name on the circular tag and stick it onto the card. 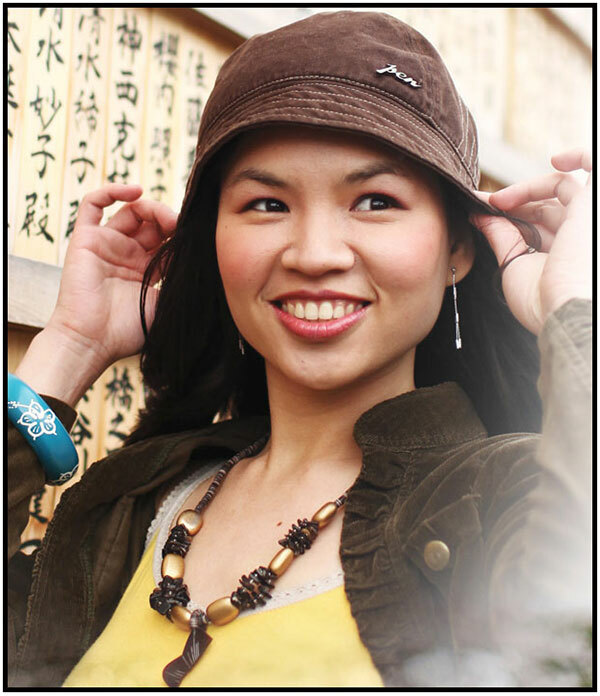 Embellish away! Try to do a mock-up first before gluing them permanently. I used buttons and a flower brooch (I just removed the pin at the back). The scrapbook paper was pretty enough so I didn’t add so many embellishments. For the inside, I did a hand lettering of the Happy Teachers’ Day greeting and wrote a short message for the teacher. As you can see, it’s a series of Thank You’s. Finally, I asked DA to “sign” the card. He can’t actually write yet so I put dotted lines for him to trace. How about you, what do you plan to give your child’s teachers? Nice idea for a teacher’s day card! And it is easy to make too. In this age of modern technology, I still find letters and personally made greeting cards more special than any other gift that money can buy. It’s more heart warming to receive something that was made by someone because you know, that person invested time and effort to produce such thing. And that I believe is just priceless! I’m sure the teacher who received this card really felt how much you appreciate her. Good job mommy! I’m looking forward to making teacher appreciation gifts again when my youngest goes to school! This is so timely! October 7 is the Appreciation Day in my daughter’s school. I still have a lot of time to create this unique gift idea!